The 2011 Favorites: Book, Album, MORE! I hope you’ll check out some of the great recommendations from this week’s PROMPTuesday. There were several new-to-me book and song suggestions that rocked my boat, not to mention the inclusion of 2011’s inspiring lessons and 2012’s roads ahead for so many of you. Meanwhile, I played my own PROMPT game and answered the below with what made the year so special. In a sometimes painful, mind-widening way. I admit it. I haven’t read a lot this year, which blows. But the best thing I read this year? The Hunger Games trilogy. Not because it was literary great shakes, but it was absorbing and imaginative and escapist. And the latter for me in 2011? Was necessary. Favorite song and/or album of 2011. 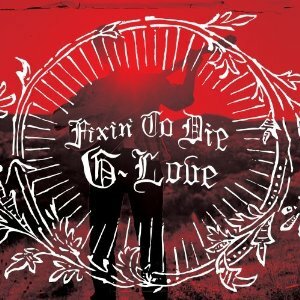 G. Love’s Fixin’ to Die. This is not the G. Love of your past. It’s gritty and folky and right up my alley. I dug the whole CD hard. And guess who produced it? My loves, the Avett Brothers. Good stuff. Favorite blog you discovered in 2011. By Any Other Name. I love Julie Gardner. She’s warm, and funny, and my best friend. No she’s not. BUT I WANT HER TO BE! When Jessica asked me to be a part of Two Funny Brains. I talk often about doing stuff, but then just wax poetic on and on without action. Jess and I DID SOMETHING with Two Funny Brains, living out something that’s fun and creative and so very challenging in a soul-expanding way. 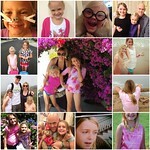 All the other favorite moments involved my kids and husband. And that my dad lived! Those were not sponsored nor token sentences. Best learning moment of 2011. When I resisted many things having to do with Two Funny Brains (But I don’t have time! But the kids! But the money! But the leap of faith!) and did it anyway. And how far we’ve come since that moment. What you’re leaving behind in 2011. Getting in my own way. I have a tendency to obsess over where I’m going, where I’m headed, where I’ve been, and why, why, why? Am I here. So this year, I want to do more, obsess less. Where you’re headed in 2012. Toward self-actualization, belief, more lessons, FINANCIAL SECURITY gained by following my bliss. It’s funny. 2011 broke down a million of my preconceived notions about myself, and other people. Sometimes others weren’t who they showed themselves to be, and sometimes, they were so, so much more. Truth? I went through the year crying a lot. And destroyed in so very many ways that are unimportant. Because when you put it all together? I came away with a stronger sense of self and a more tenacious foundation. Miles to go, miles to go. But one foot in front of the other, am I right? I loved the Hunger Games trilogy too. I’m not sure it was my favorite of the year… maybe The Night Circus. Oh my god I just got goosebumps. Because I was reading your list and saying, Yep. Yes. Oh yeah, she’s so right. I’ll so be your best friend. First, we just have to meet in real life. Good things to think about for 2011. The Hunger Games were my favorite books too! I discovered some really great blogs this year as well. I’m with you on the miles to go in 2012. One step at a time! Love reading your recap, friend! And oh my, yes- The Hunger Games trilogy was amazing! I’ve got to get my hands on The Hunger Games. Good for you for getting out of your way! I’m working on that this year as well. “Yes.” is my new answer to everything! I am so proud of your accomplishments and strength of character. Thank you for inspiring all of us to work through issues and come out with a sense of self and peace. I had that kind of year too and feel blessed to be in a new one. Can you believe how far we have come ? I loved the Hunger Games too. And this…I came away with a stronger sense of self and a more tenacious foundation…is awesome. 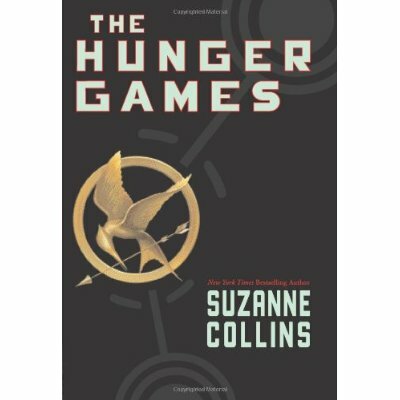 I keep hearing about The Hunger Games but haven’t the foggiest idea what it is about. I guess I should look it up and see. I loved Hunger Games too. And how do I not have that G Love CD??? Can you burn it for me and we’ll play it over and over at our next sleepover. Love you sister, and so proud of you for a million trillion reasons. LYLAS.